Why choose WildJungle Affiliate program? WildJungle Online Casino games provided by world famous casino game providers, Playtech. Their software was certified by third party of accounting firm and all the games was passed gambling commission's audit. They are the No.1 suppliers in the world. The gaming interface are all English ready and with English customer support. Players can find assistants anytime. Not only for players, but also for the affiliate agent everyone's demand can be fulfill in here. Play for fun games are available on WildJungle. We recommend to let players try the games before push them to register. 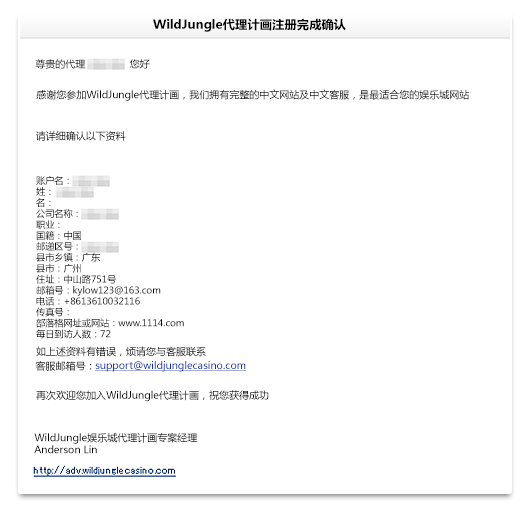 It's really simple and easy to log into WildJungle affiliate. If you are experiencing any trouble on registering it, please contact our customer service anytime for guidance. Enter your email address, make sure you can receive the mail from this address. Enter your phone numbers, or cell phone number is OK, too. 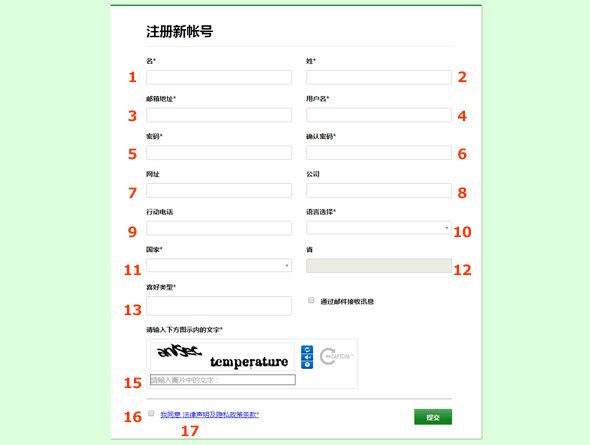 After finished the registration, it will appear the following window. The system will automatically send a confirmation email to you, please keep the information in safe place. Agent can manage and monitor all the activity through the back office, as long as there is internet. You can access by using your log in ID and passwords anywhere. After log in, you can find your unique url link in marketing tool page, just copy and paste it. If you have any questions, please feel free to ask us at anytime. Our customer service is collecting market data and analysis it into useful information to all of our affiliate agent. We will release the newsletter to our agent and let each agents have great tool to do the marketing. For example, we will teach how to link and where to put the banner step by step to help you through the whole process.